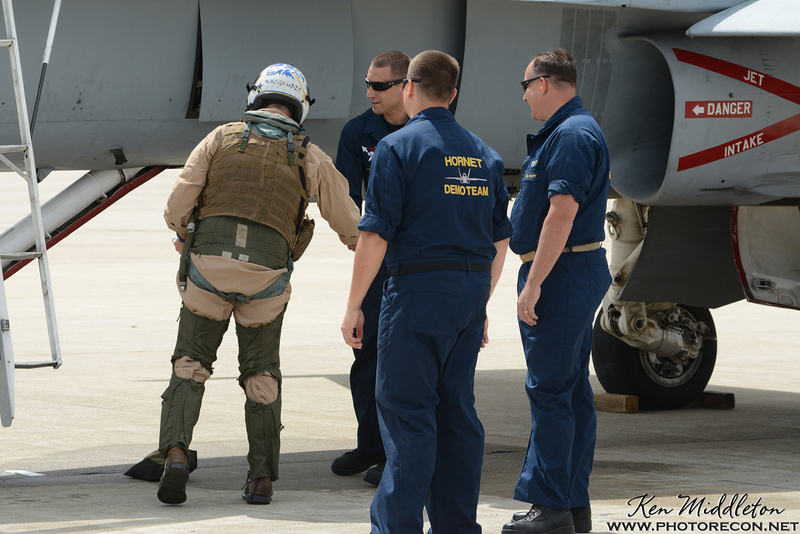 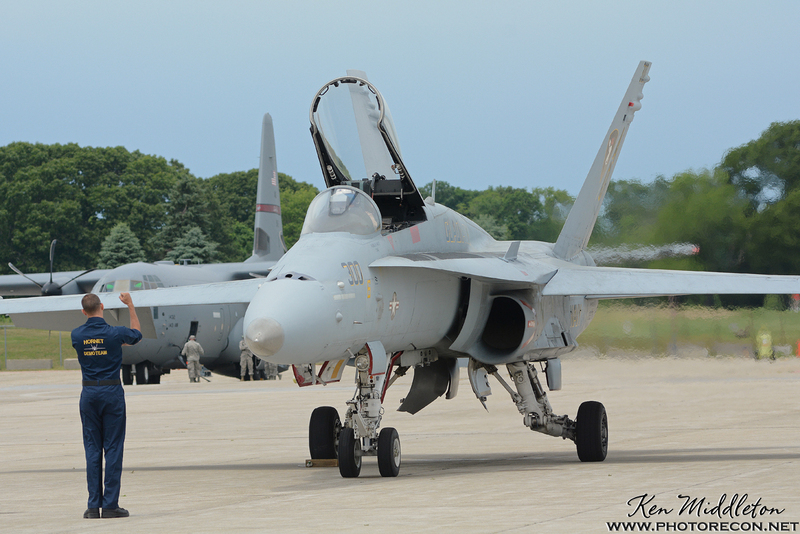 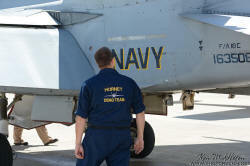 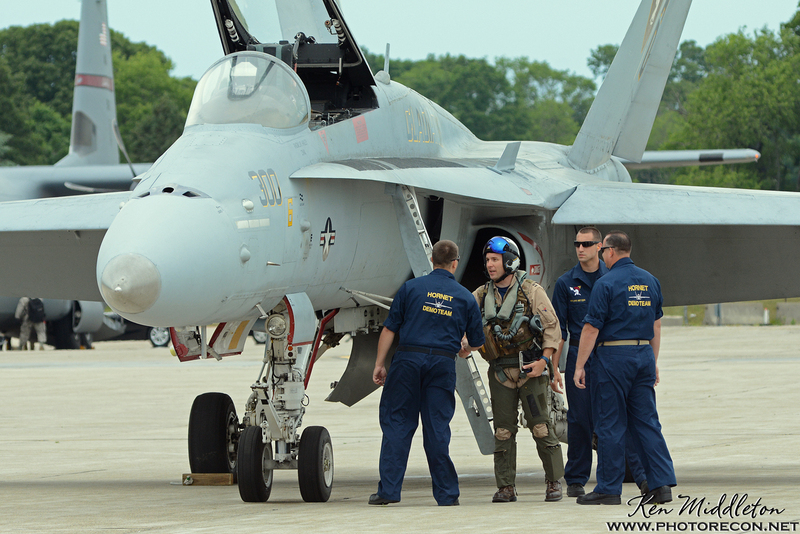 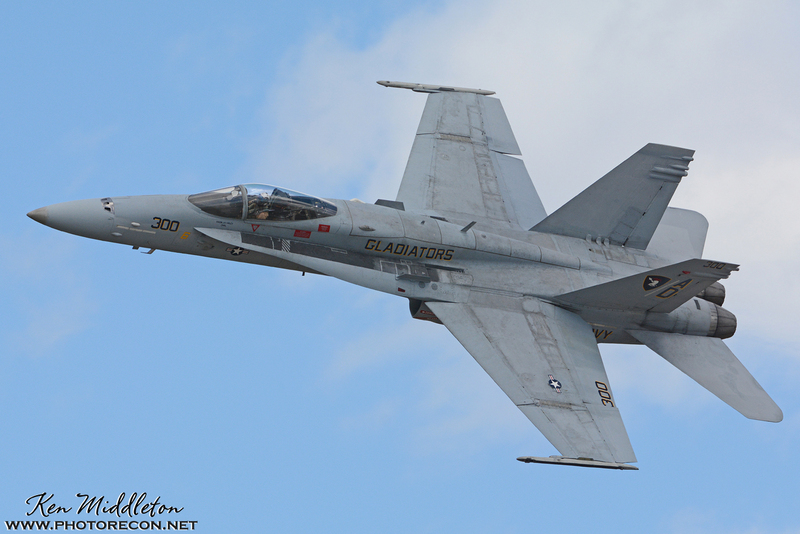 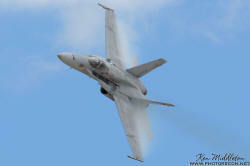 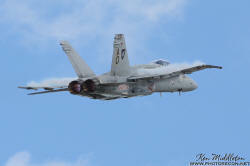 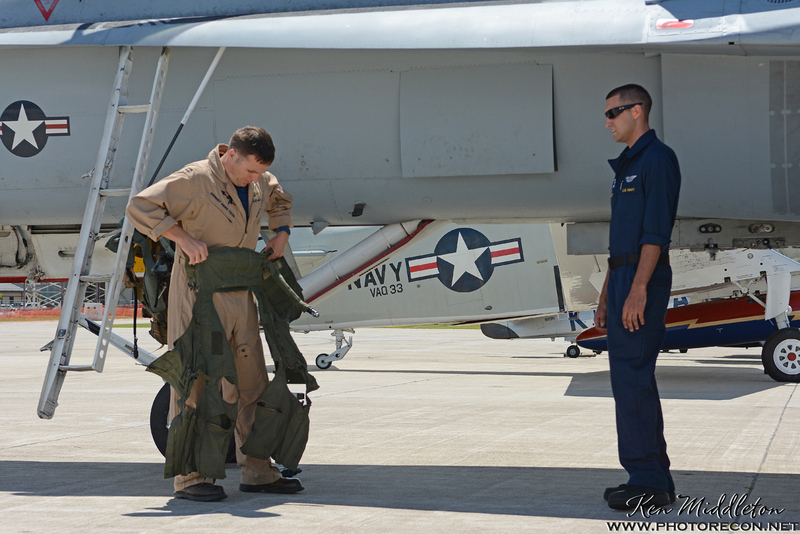 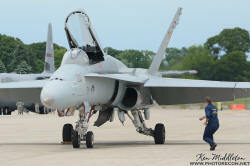 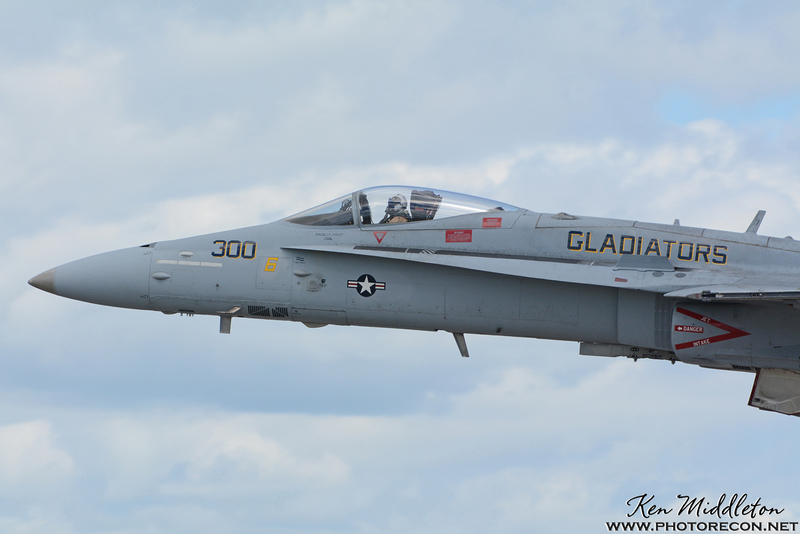 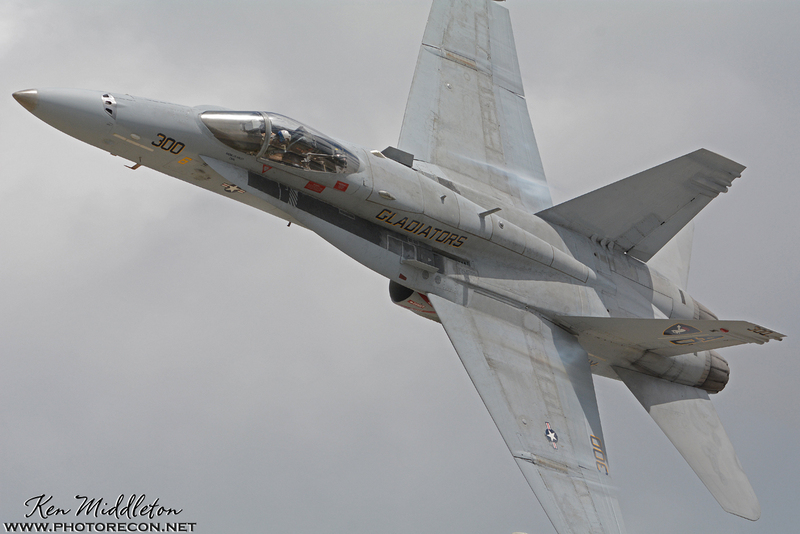 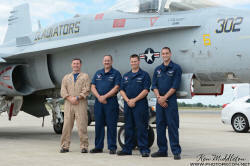 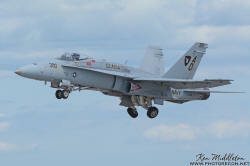 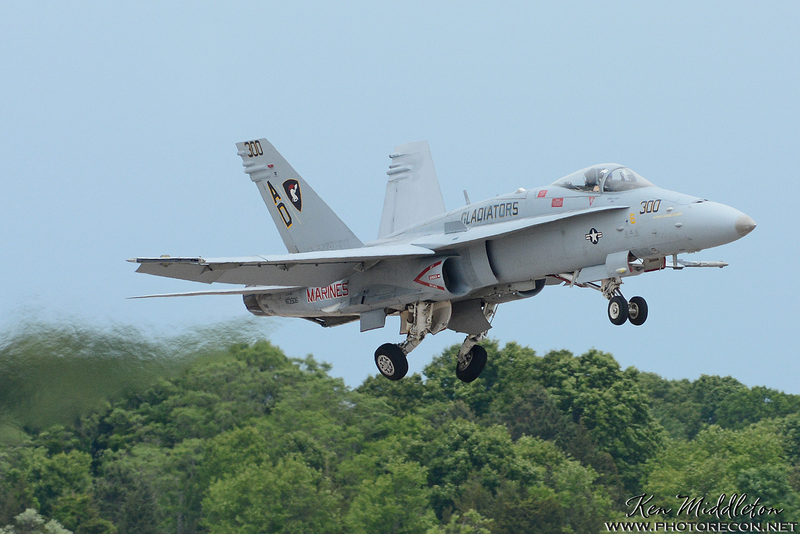 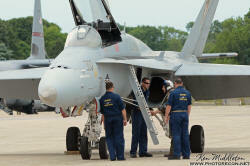 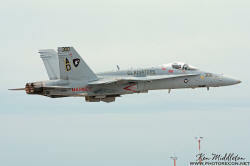 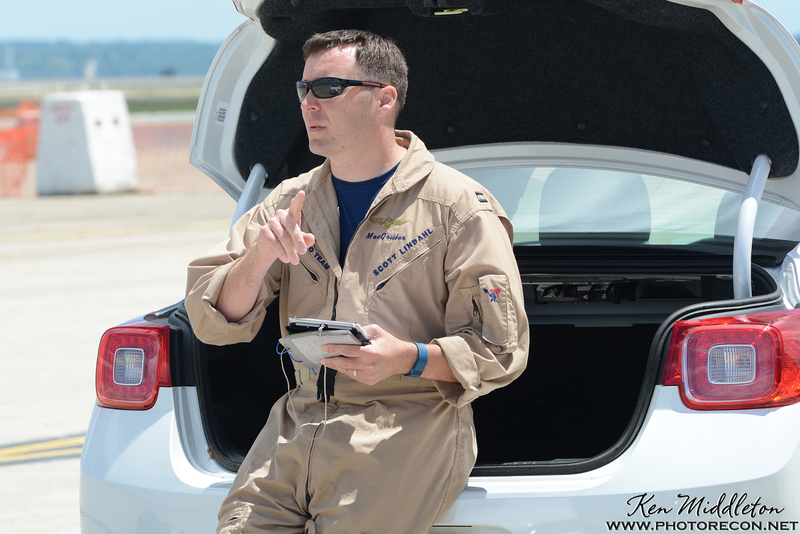 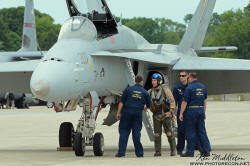 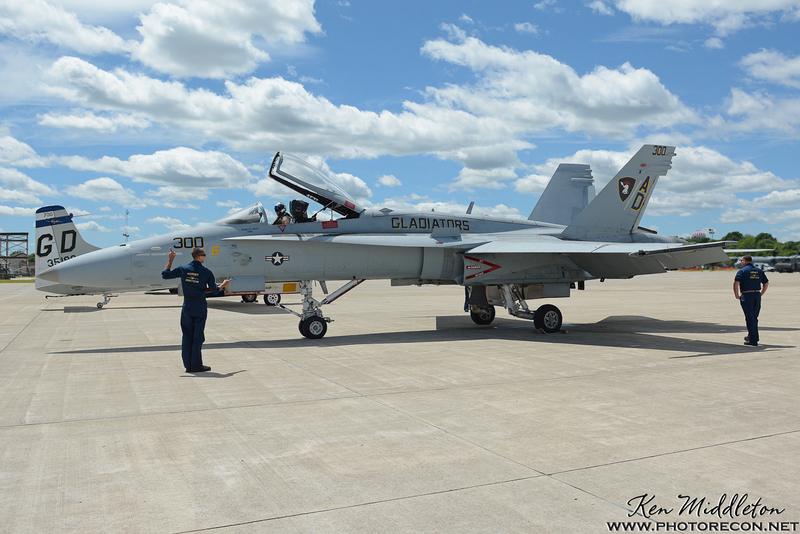 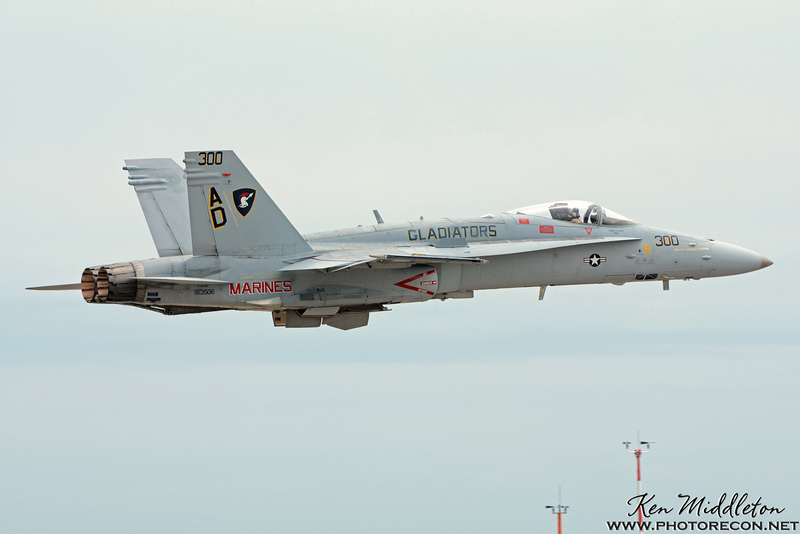 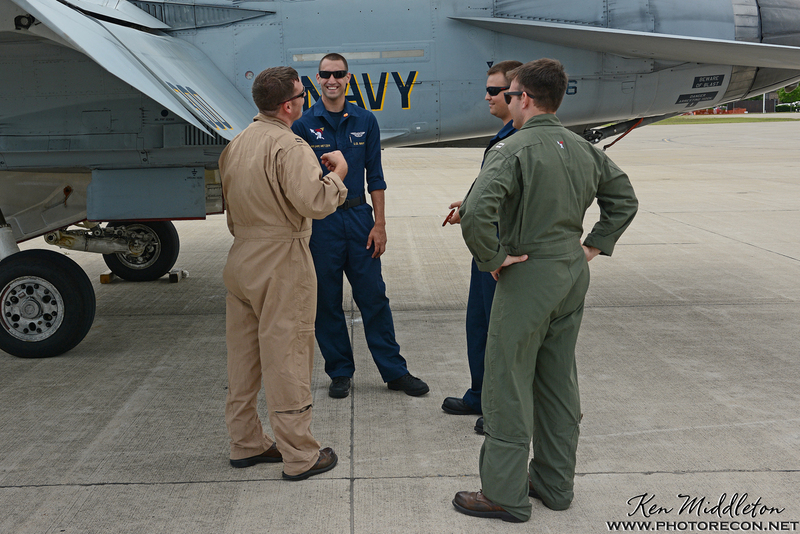 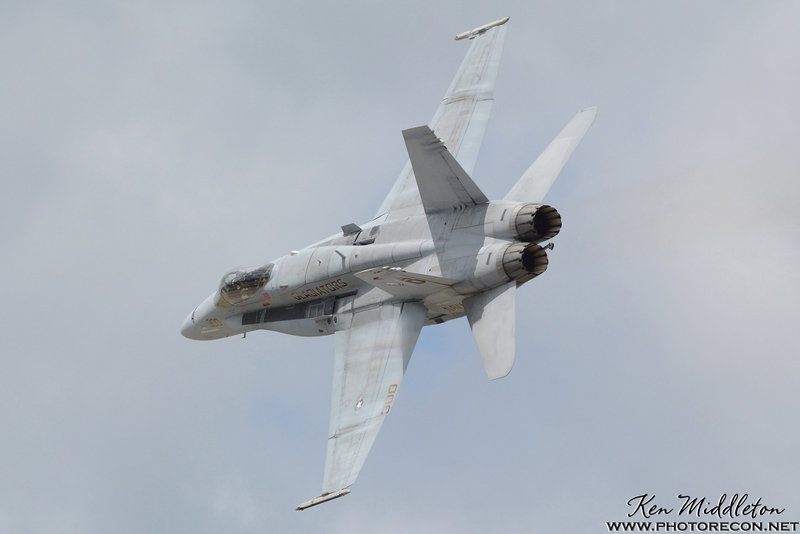 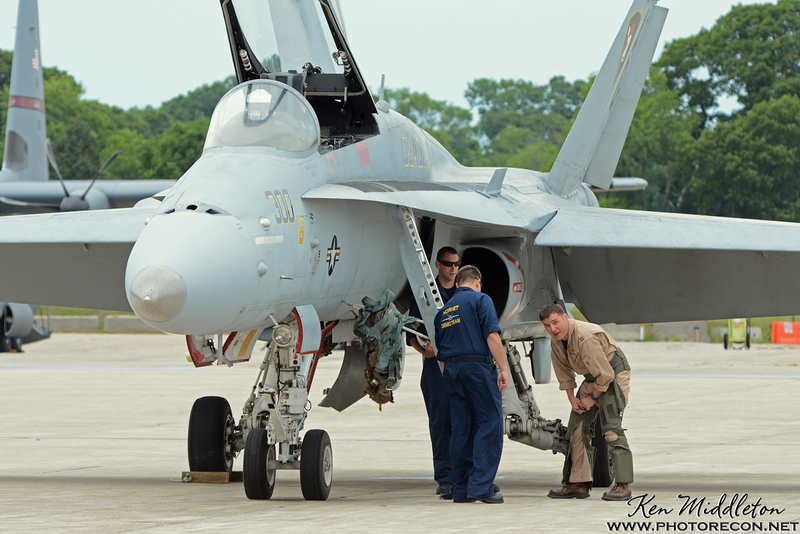 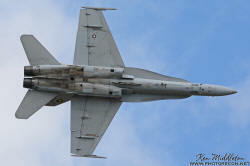 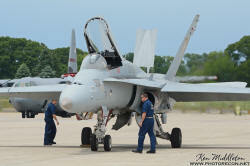 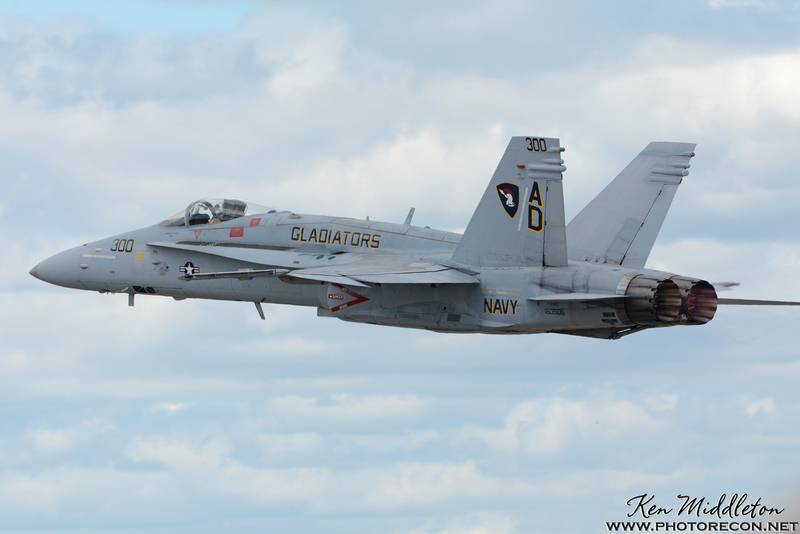 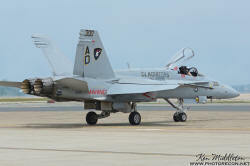 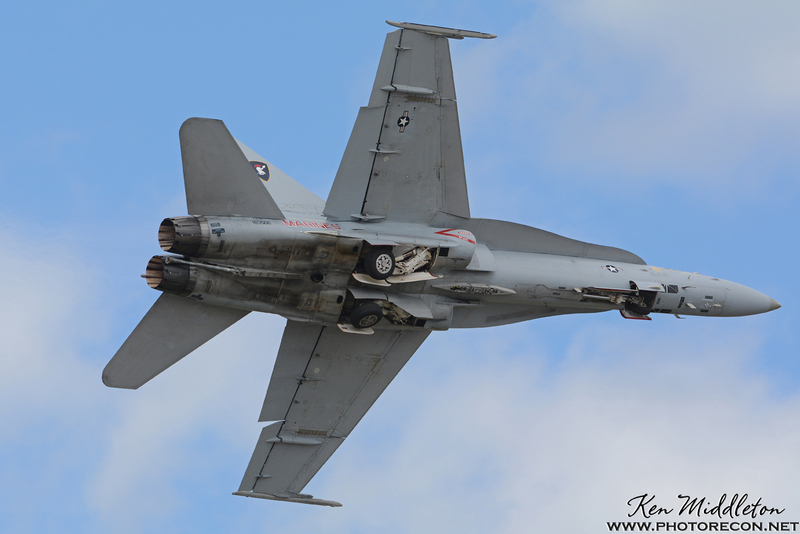 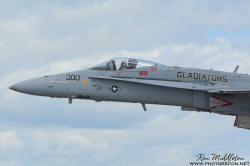 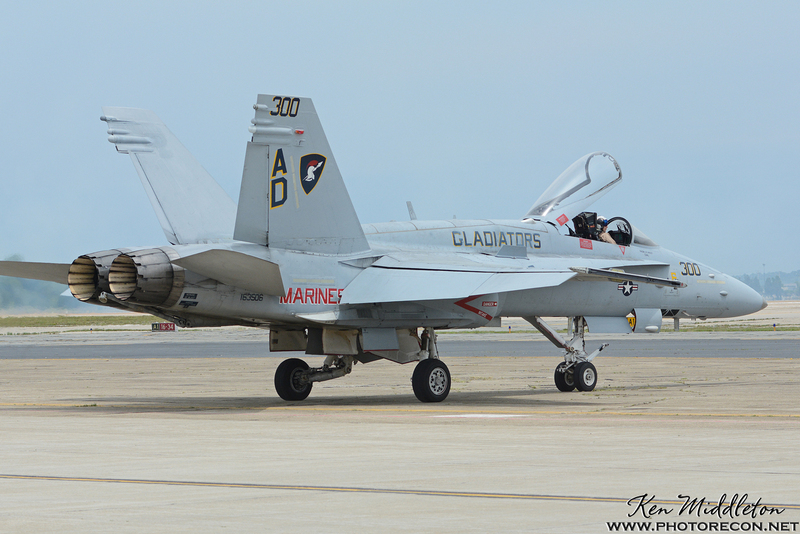 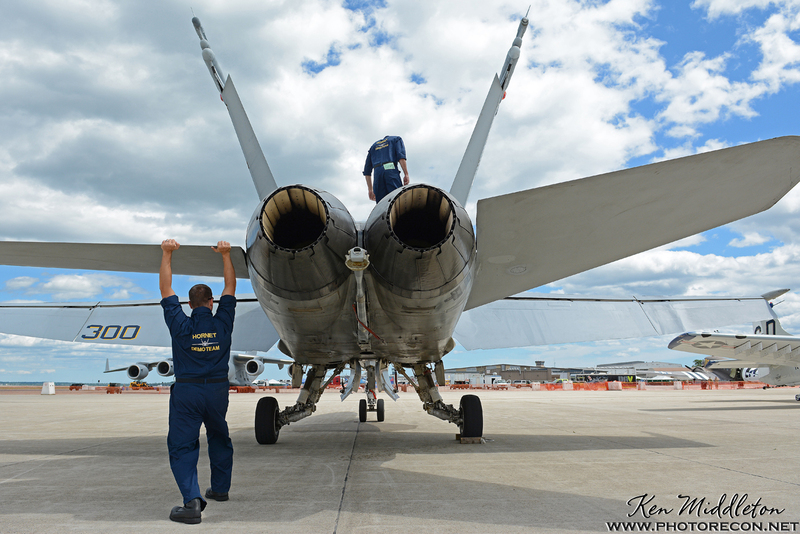 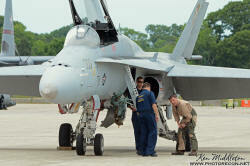 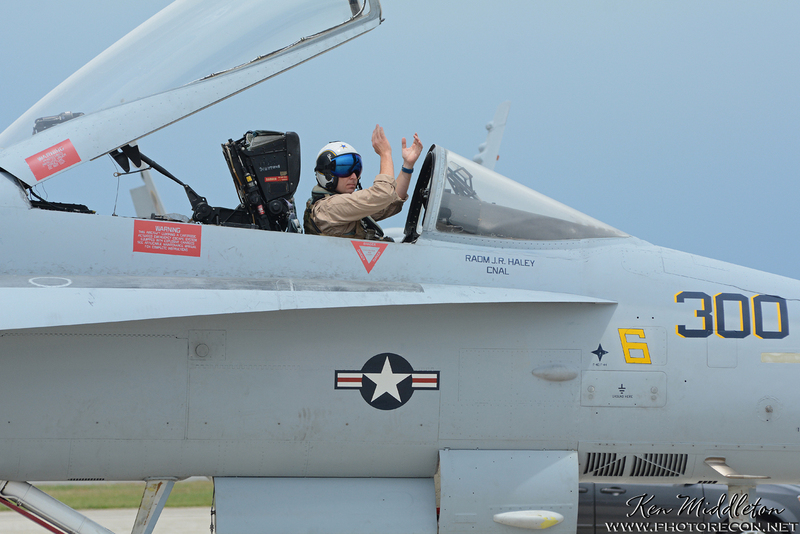 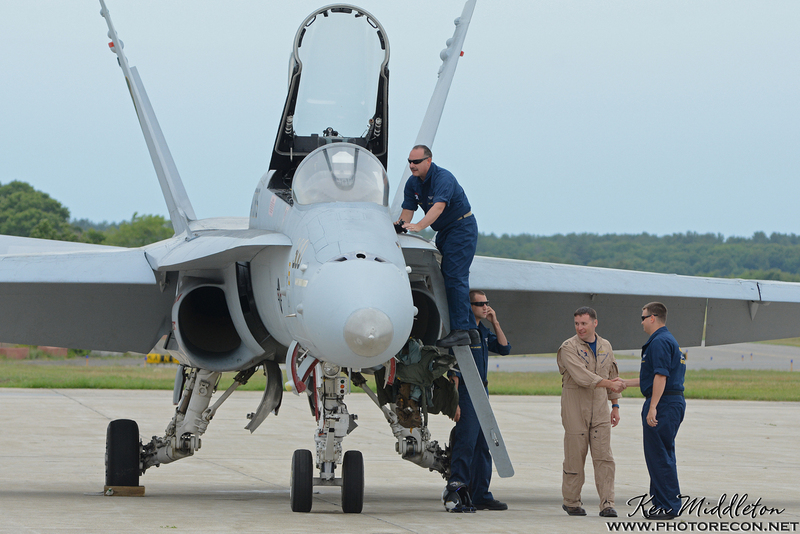 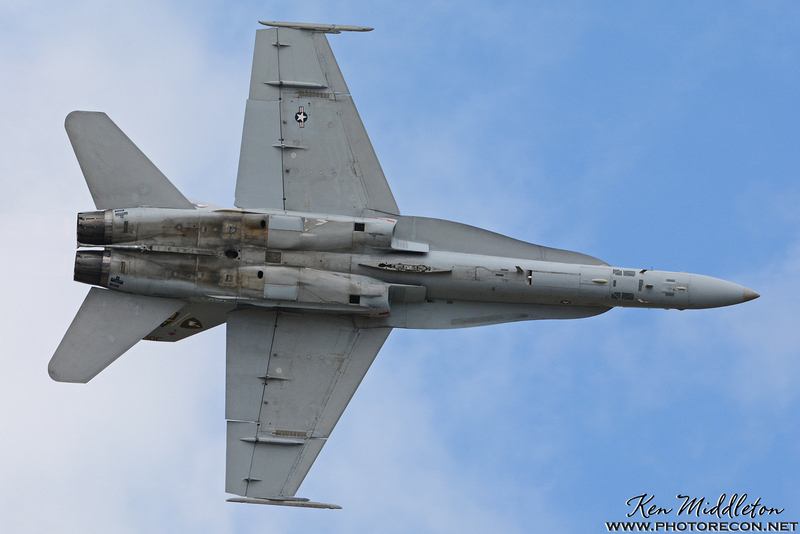 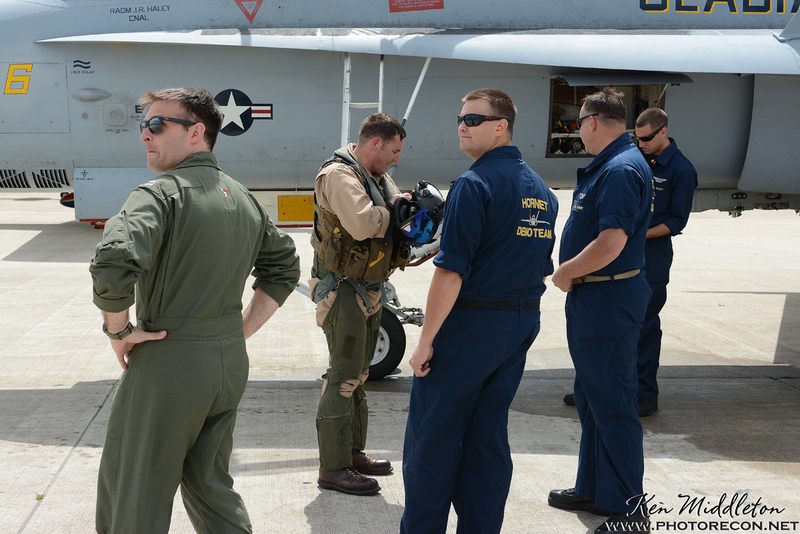 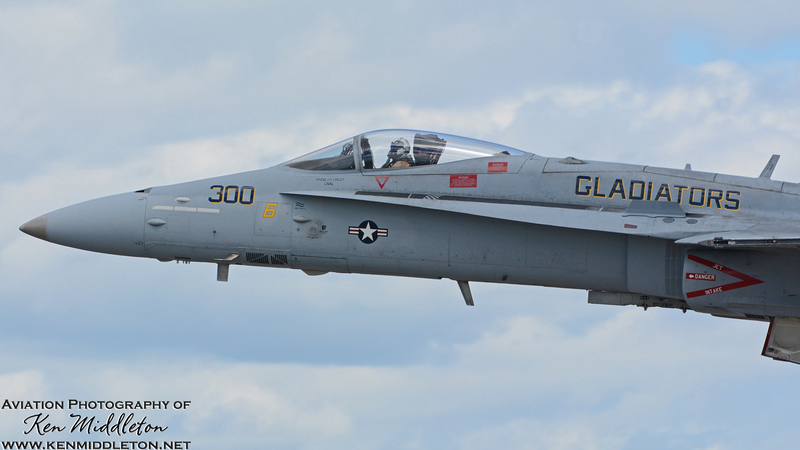 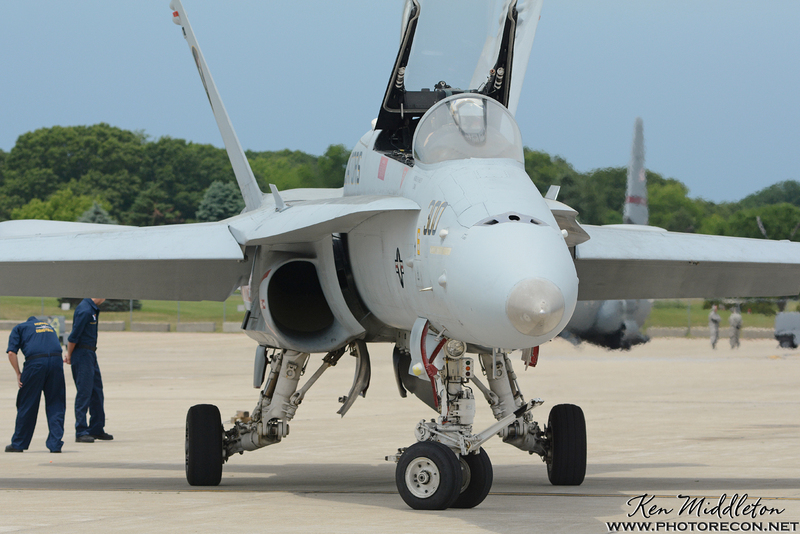 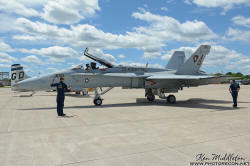 The United States Navy East Coast Hornet Demo Team is based at Naval Air Station Oceana, in Virginia Beach, Virginia, and is represented by Strike Fighter Squadron 106 ”Gladiators”. 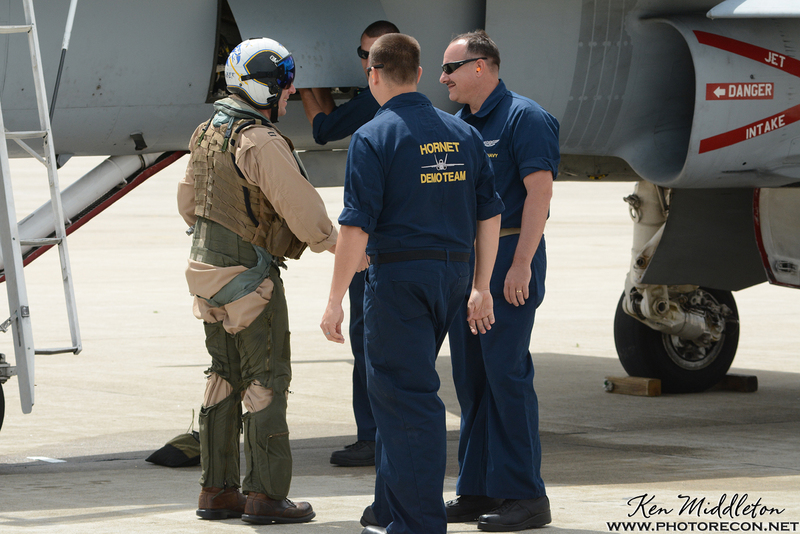 The US Navy has 4 Hornet demo teams – a separate Legacy and Super Hornet team from both NAS Oceana and NAS Lemoore, California. 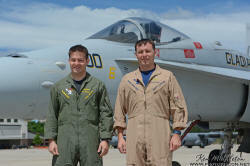 Strike Fighter Squadron 122 ”Flying Eagles” represents NAS Lemoore. I arranged a ramp photo visit with the team for Friday June 10 at Quonset Air National Guard Base, Rhode Island, as they were scheduled to perform at the Rhode Island National Guard Open House and Airshow, June 10-12, 2016. 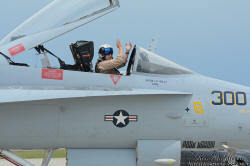 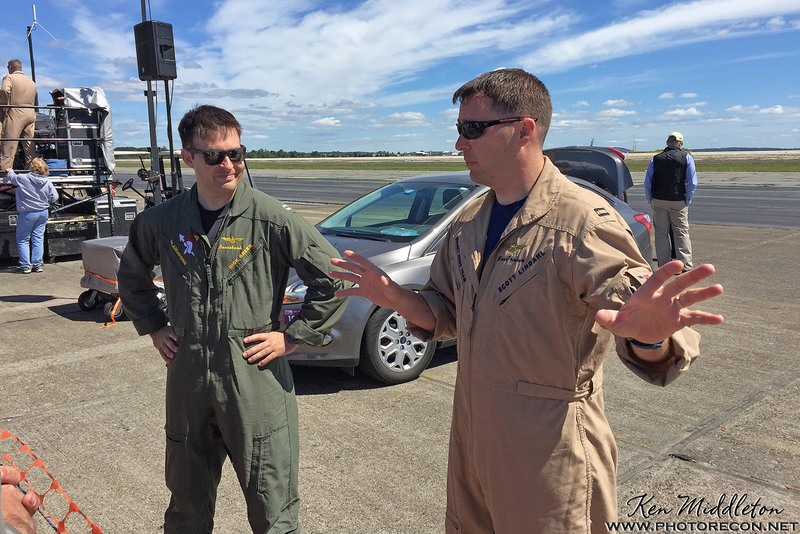 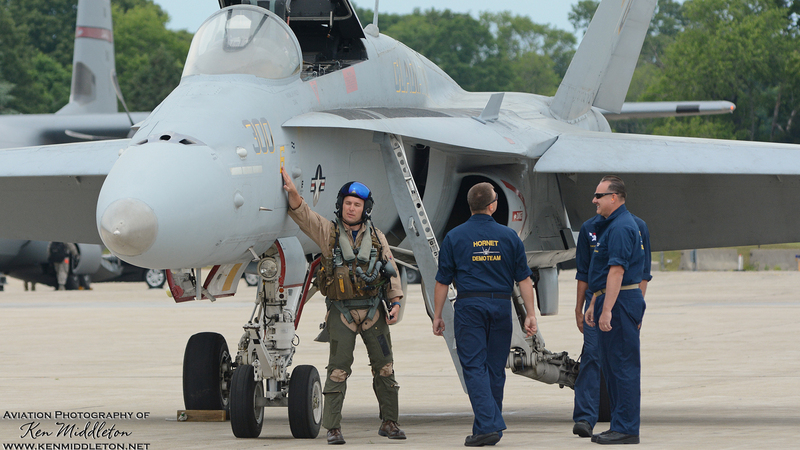 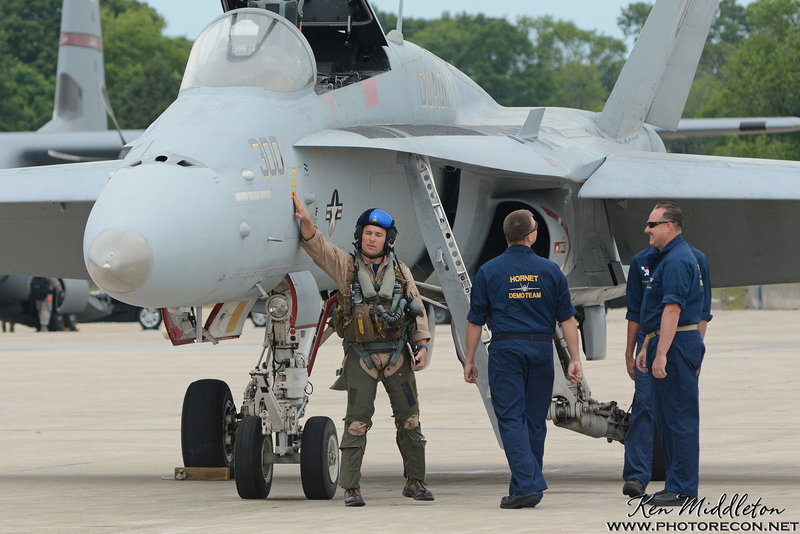 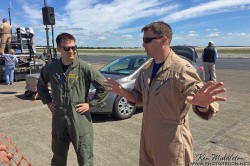 The team brought 2 F/A-18C Hornets to the show, piloted by demo pilot Lt. Scott ”MacGruber” Lindahl and Lt. Nick ”Bearshark” Green. 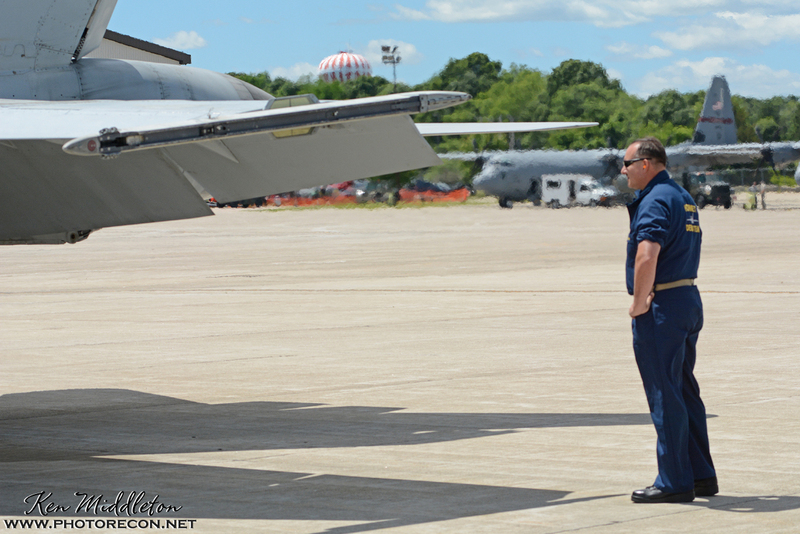 The maintenance crew either fly commerical or military transport, and for this show, a 143rd Airlift Wing C-130J Hercules of the Rhode Island Air National Guard flew to NAS Oceana to pick them up. 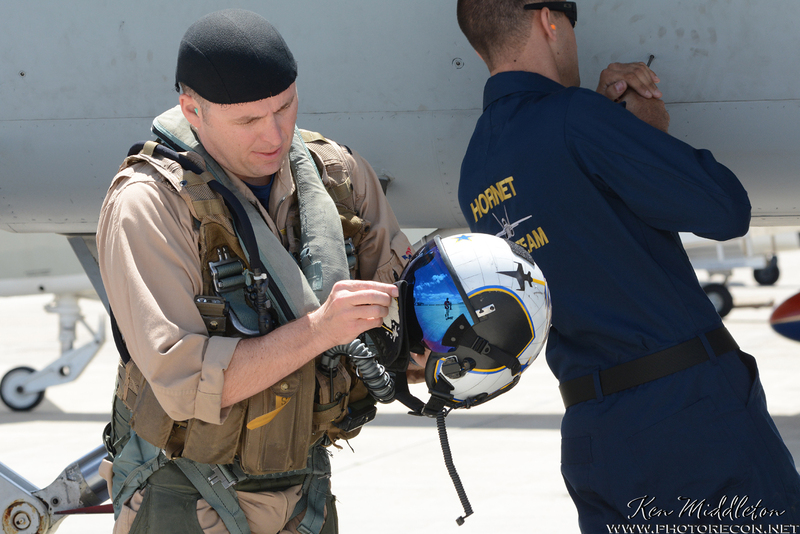 The 2 jets both are now wearing a yellow ”6” on both sides of their nose, in honor of US Marine Corps Captain Jeff Kuss, who crashed and died while flying as a member of the USN Blue Angels on June 2, 2016. 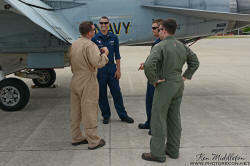 I was escorted by MacGruber and Bearshark, and met the 3 maintenance crew. Immediately what struck me is their friendliness, openness, youth and immense responsilibilty they are entrusted with. 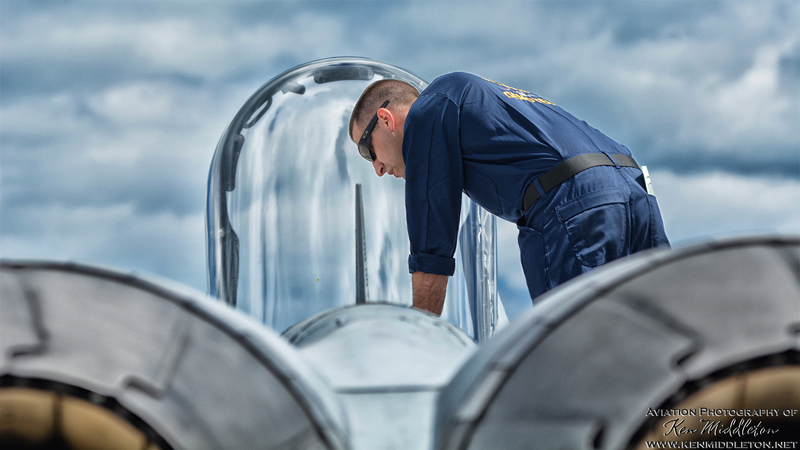 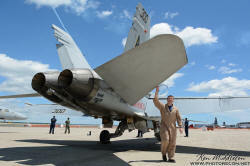 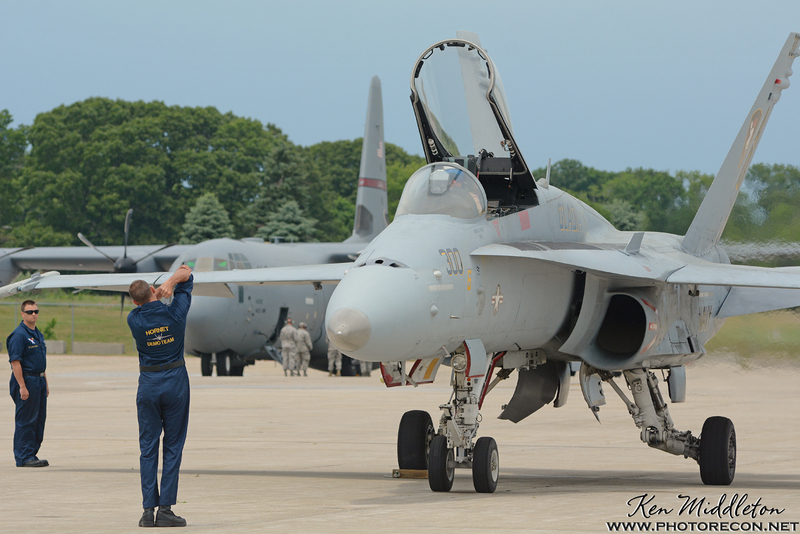 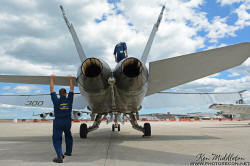 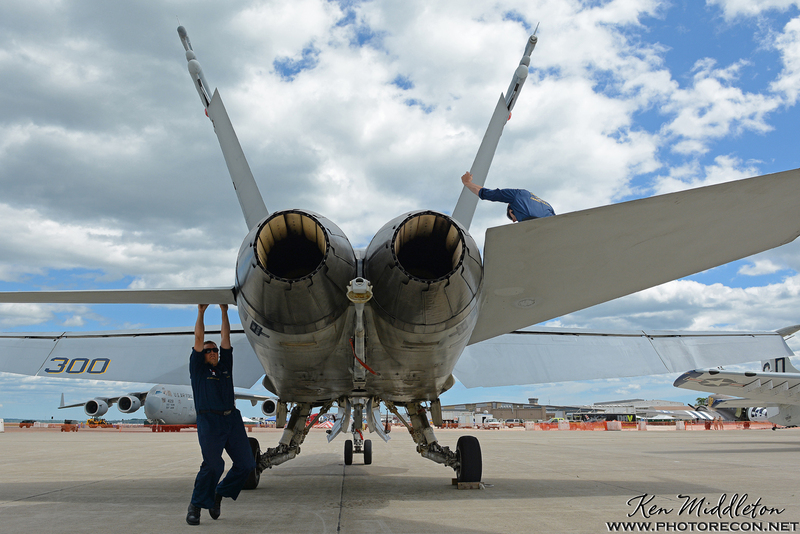 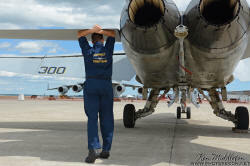 The maintenance crew did various tasks to prep the jet for the demo, while MacGruber went through paperwork, and then mentally performed the demo routine using his hands to demonstrate the aircraft movement. 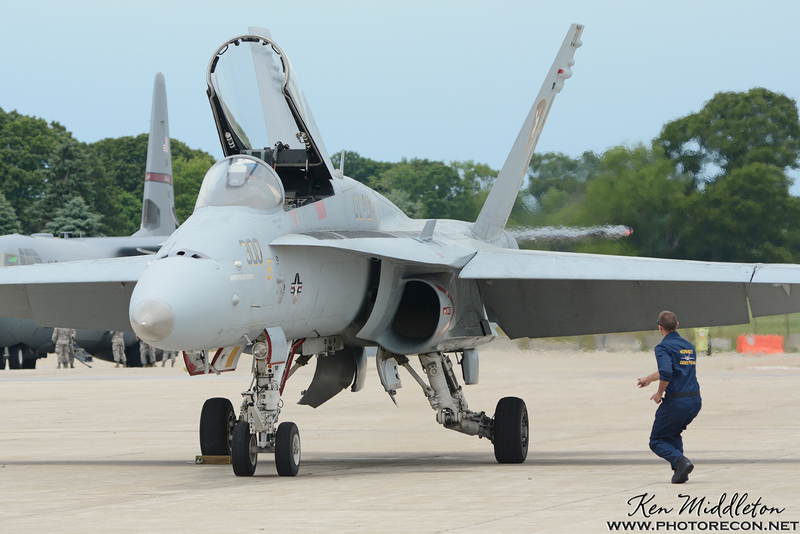 MacGruber then did a counter-clockwise walkaround of the aircraft, checking for loose panels and condition of the control surfaces, landing gear, etc. 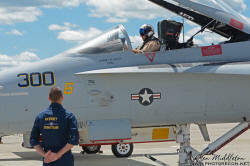 Once done, he started to put on his G-suit and helmet, and then shook each member’s hand, tapped the number 6 on the fuselage and climbed into the cockpit. 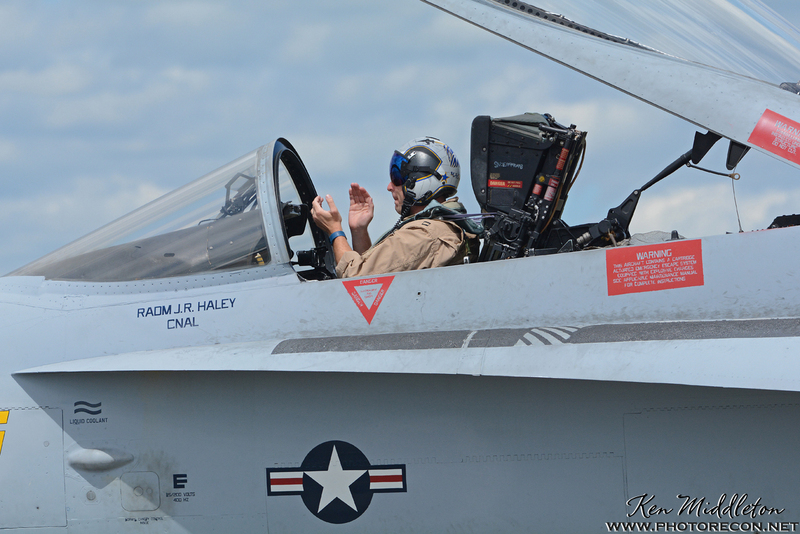 In the cockpit, he was busy switching dials and buttons, and soon, one of the maintenance crew signaled for the right engine to start. Once that came to life and all checked out OK, the left engine was started. 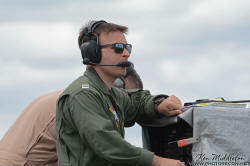 At this point, Bearshark drove me back to the media area at show center because he needed to be up on top of the airshow trailer to monitor the demo. 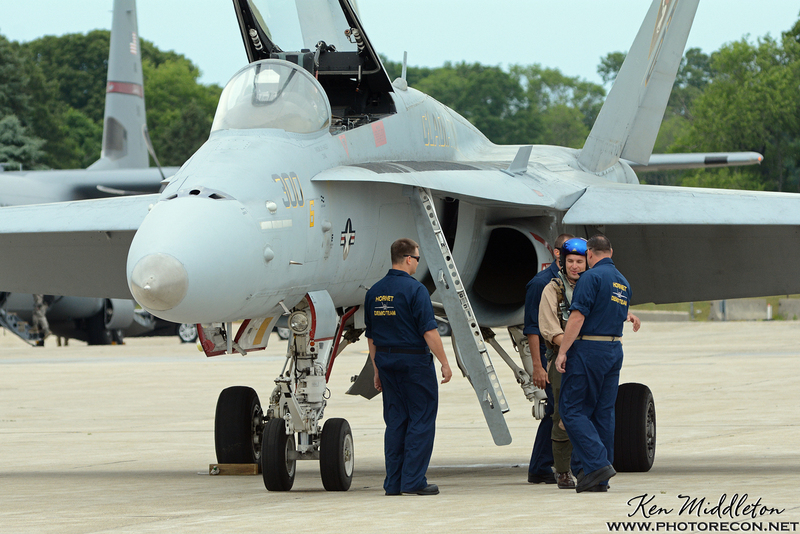 MacGruber taxied out took off to the south, and once he passed show center, I couldn’t see him due to the trailer, which also blocked a portion of the entire demo. I took some shots of the flying routine, and have included some from Saturday’s demo as well. 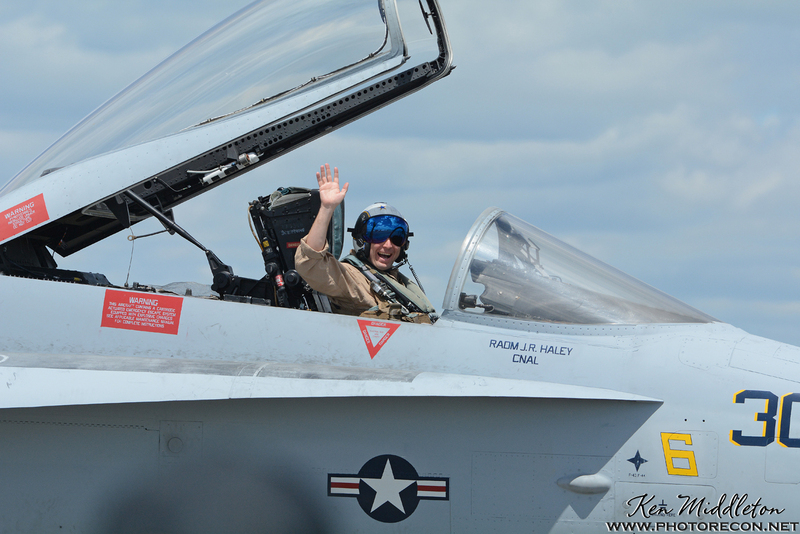 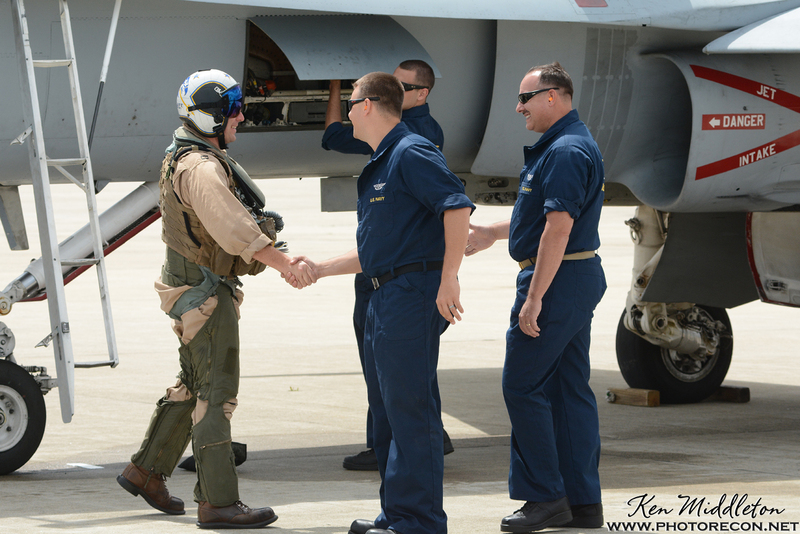 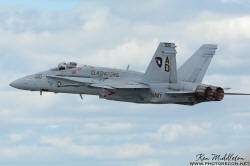 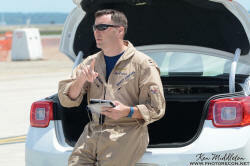 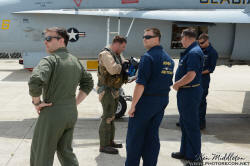 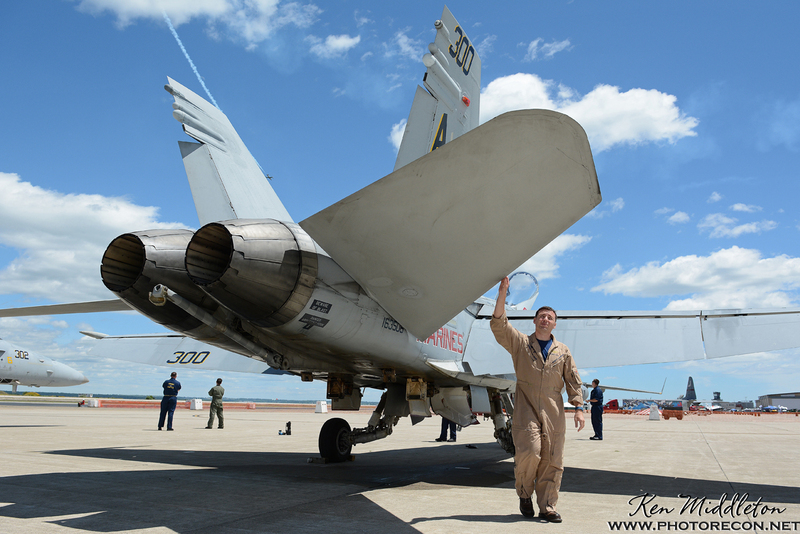 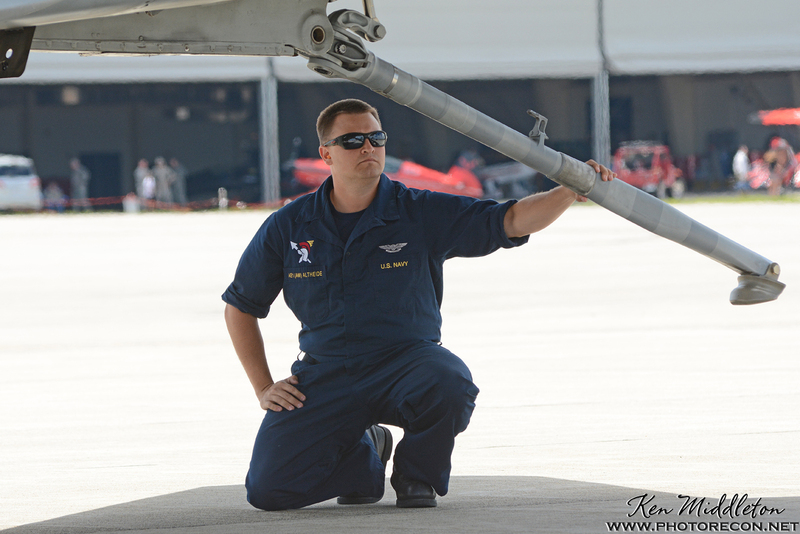 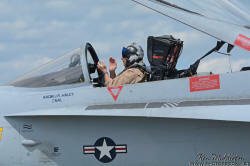 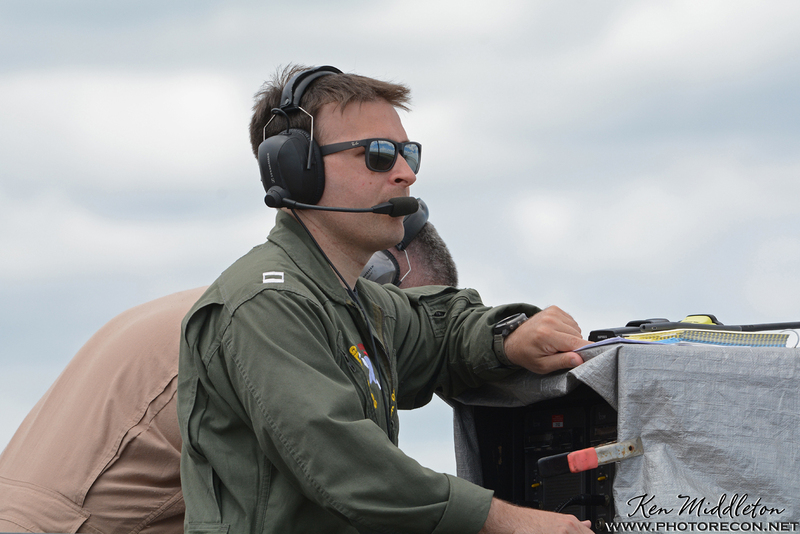 On both days, a nice touch by MacGruber was a somewhat-slower photo pass in honor of Capt Jeff Kuss. Once MacGruber was done, Bearshark signaled for me to go back to the ramp. 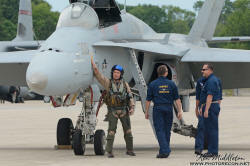 We drove back and arrived just as MacGruber was pulling into the parking spot. 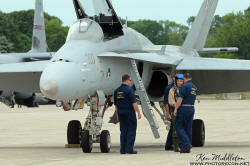 I continued to get photos as he shut down the engines, climbed out the cockpit and shook hands with the maintenance crew. While discussing the routine, he continued to take off his G-suit and helmet. The maintenance crew took control of the aircraft once again, scouring over it for any issues and securing it. 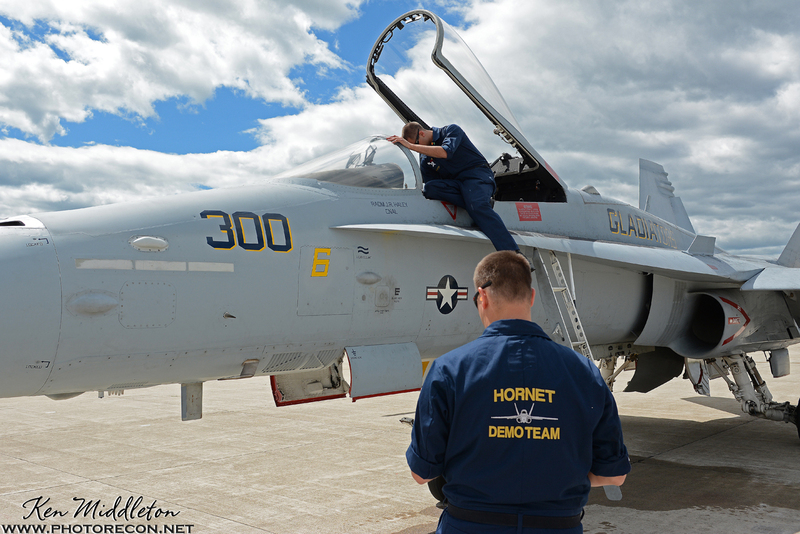 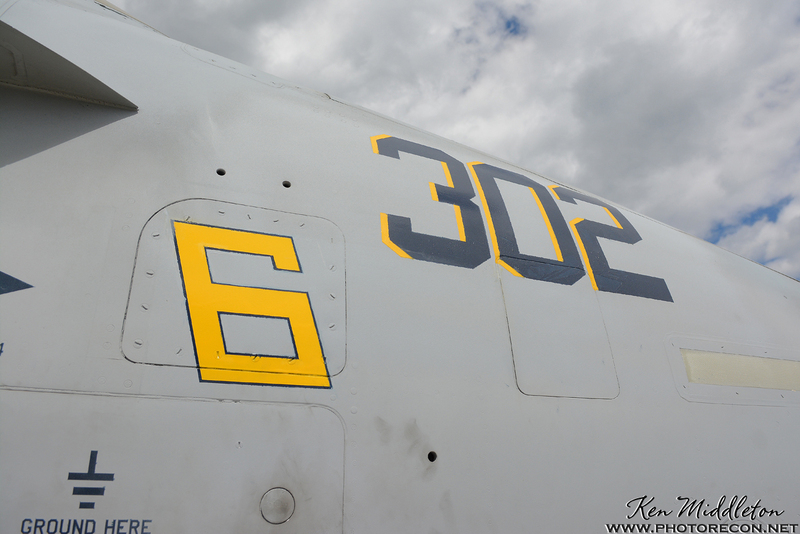 They do an amazing job on this older jet that has endured years of extreme stress. 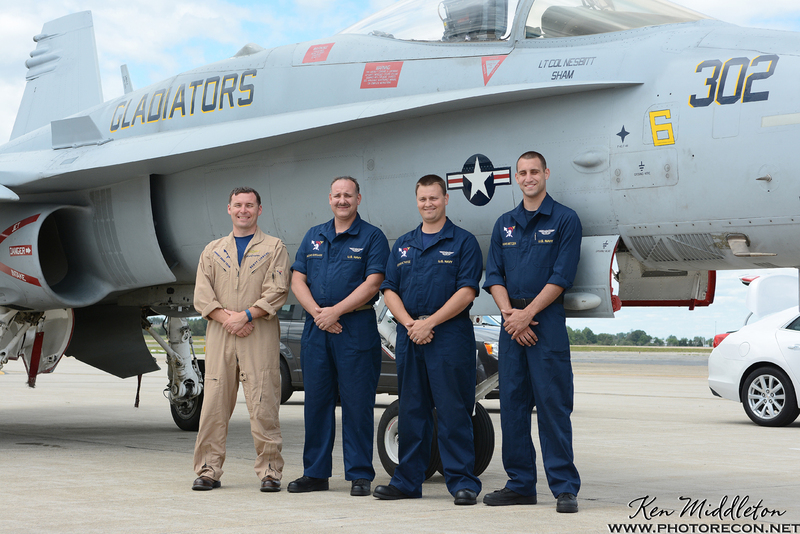 Finally, to wrap up the visit, I took some group shots, with the entire team in front of one of the jets, proudly with the Blue Angel ”6” visible.